We use logins forms every day of our lives. If you use apps, social networks, sent emails, and create accounts. 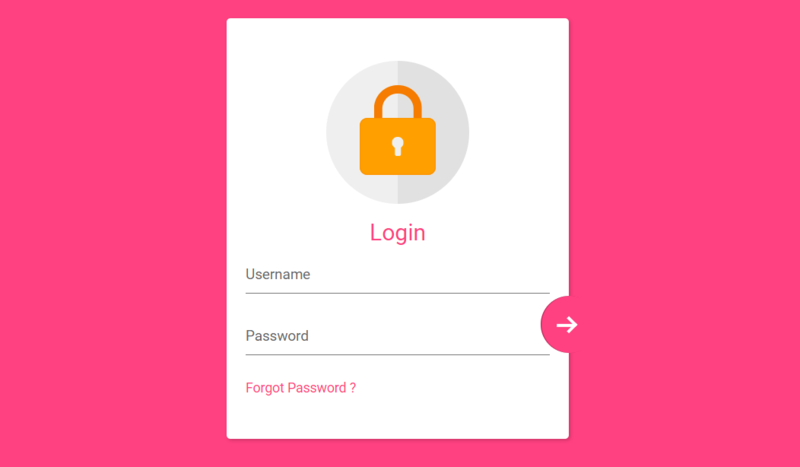 A proper login form usually consists of several fields, such as a username or email, password, and button to Log in. 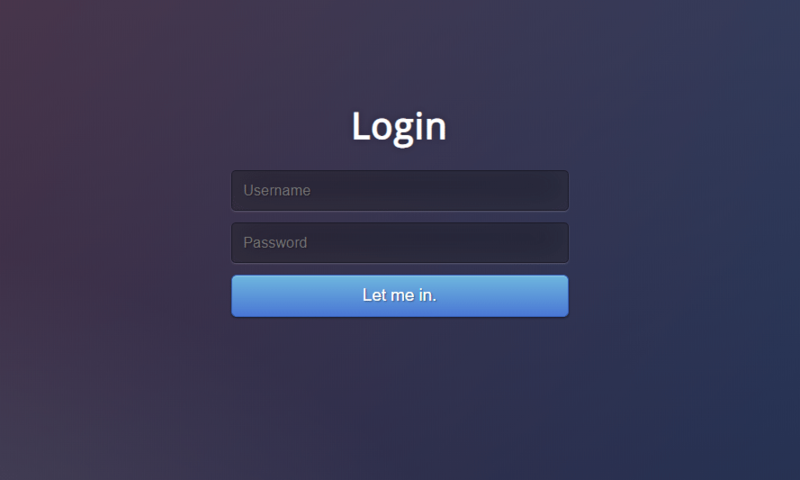 In this collection, we have put together 30 modern beautiful and free login forms built with CSS and HTML5. To use them on your website or app, you need to copy the code and insert it. 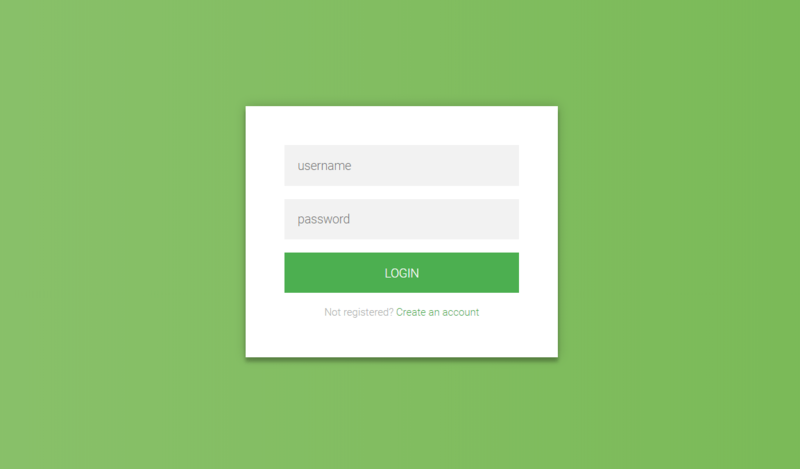 Here is a clean basic login form which also works as a registration field. It can be used for website, apps, and blogs. 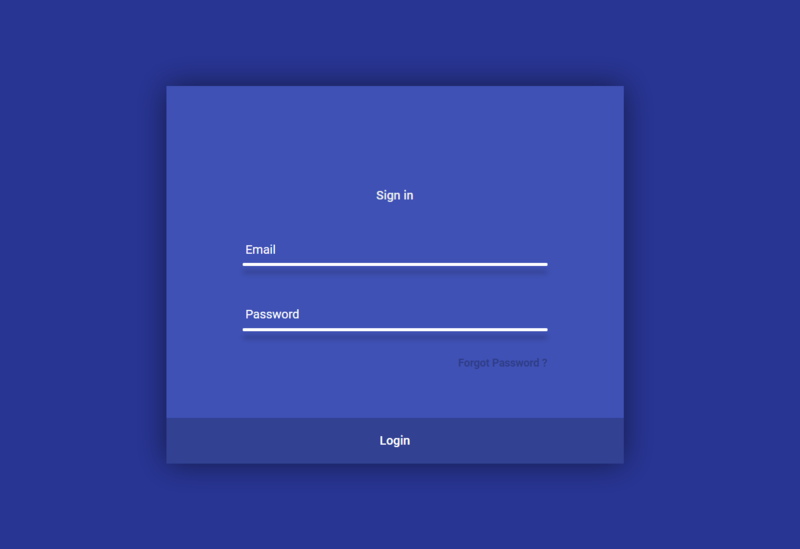 This amazing material design login form is using the magic of motion design to save space in the UI. The login form turns into a registration form in one click in the same field. This is two in one login form for Sign In and Sign Up processes. It features a blue hover and an image background. 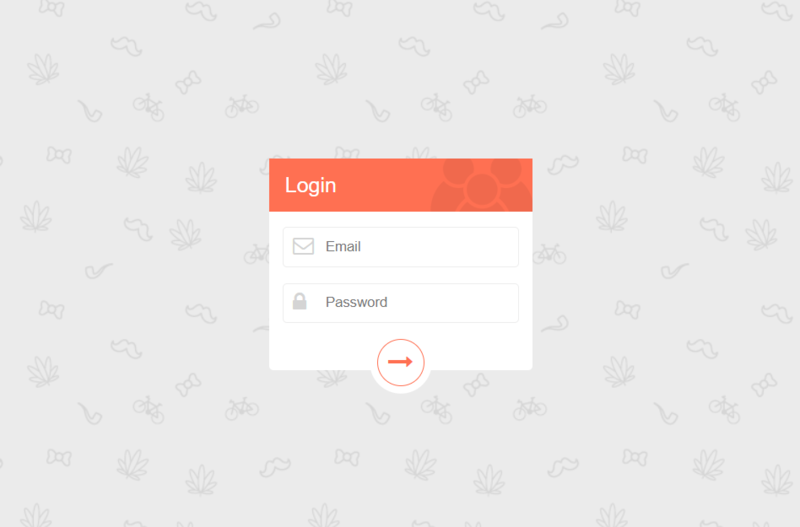 Check out this orange fancy login form with a funny gray pattern on a backdrop. It has fields for email and password along with an arrow button. 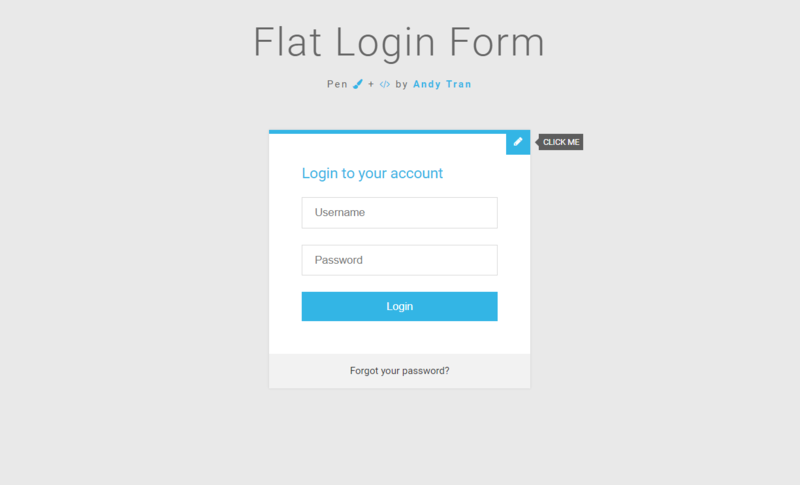 Flat login form 3.0 built with Jade and CSS3. Look at this creative login form which is placed into a piece of papers. The paper stuck to the wall with tape. 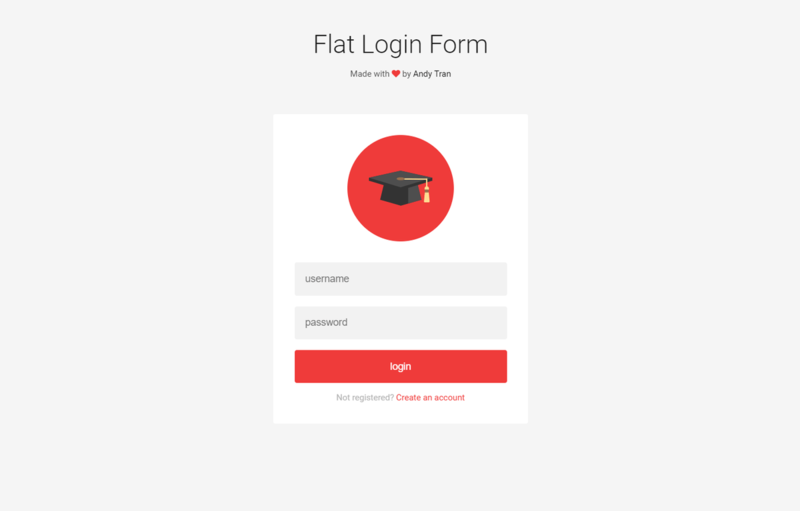 Simple login form with f;at UI. 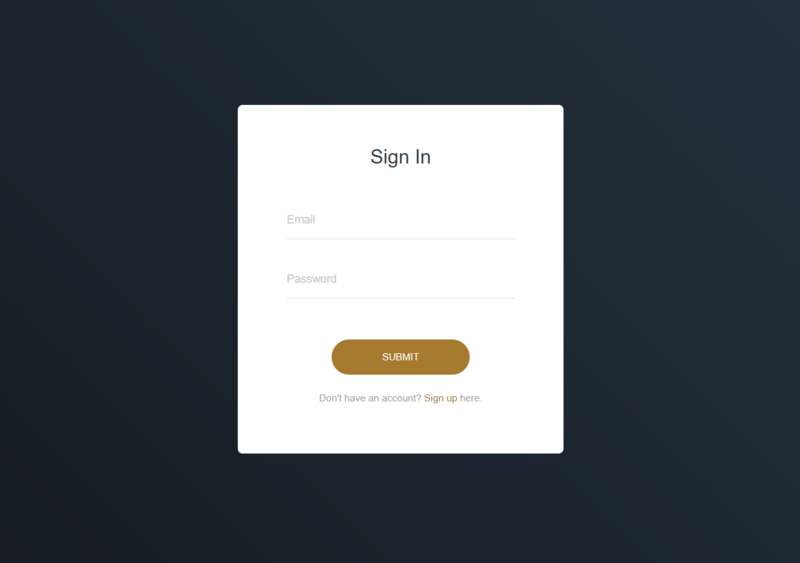 This is a material inspired login modal with 2 panels. A login panel and registration panel which is hidden by default. 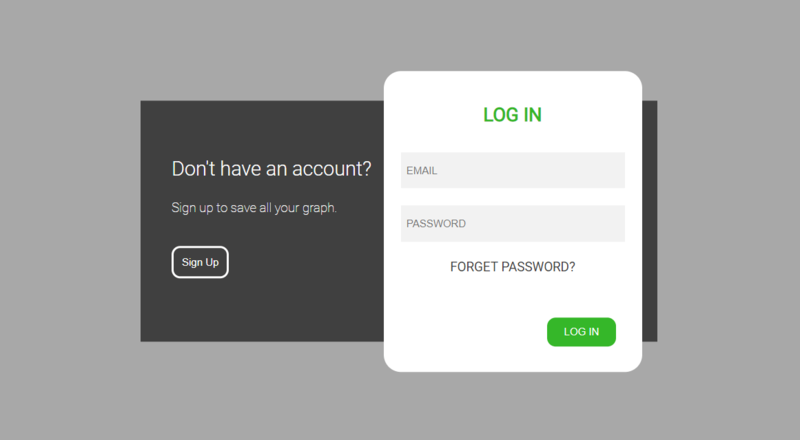 Just a random login form with a video background. Material design form with subtle texture on top. The code is open to your modifications, and you can see the result real time. Here is a basic login form with username and password fields. It will be suitable for any kind of website or app. The structure features a beautiful gradient on the background. 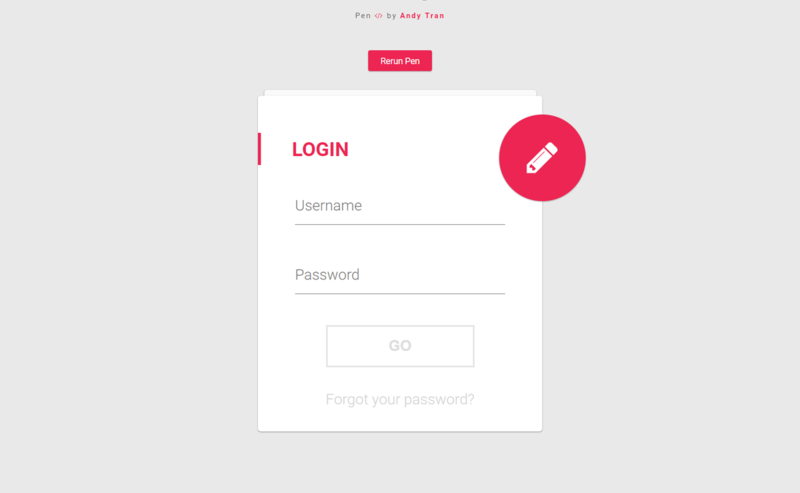 Clean material login form design bulti with CSS3 and HTML5. 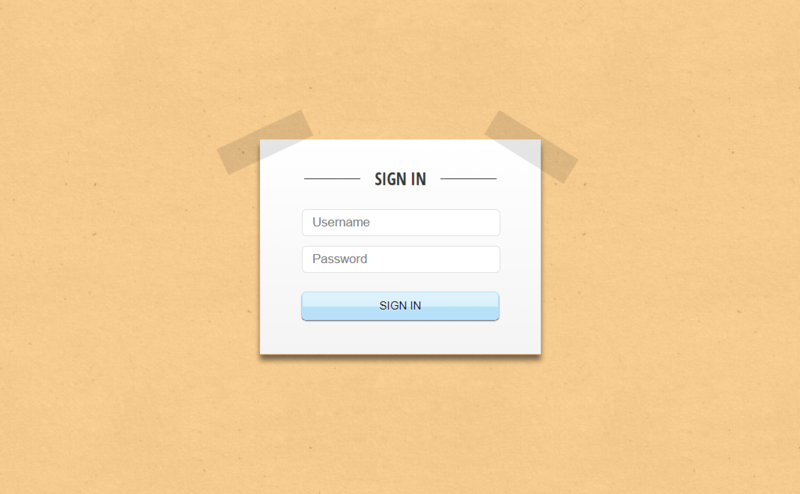 Impress your website users with this stylish login form with circle shapes. It was designed using HTML, sass, and jquery. 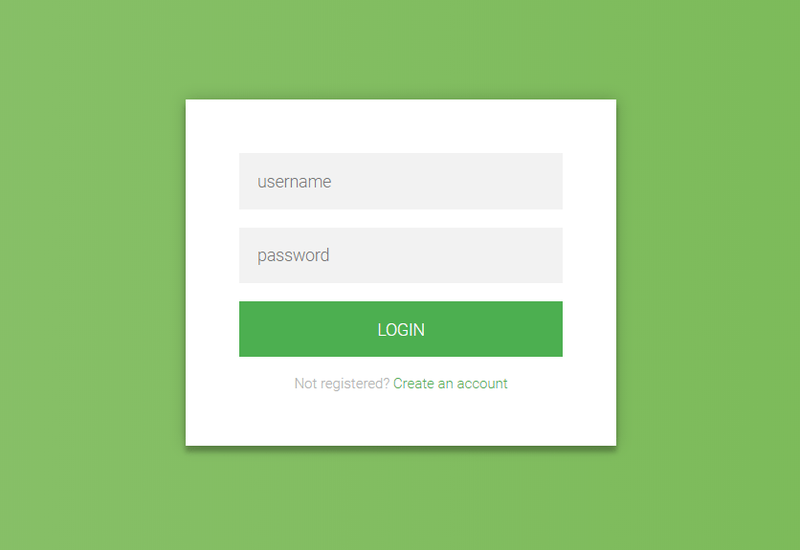 Here is a flat green login form with location icon, username, password fields, and buttons. Thanks to an open code you can modify it to fit your needs. 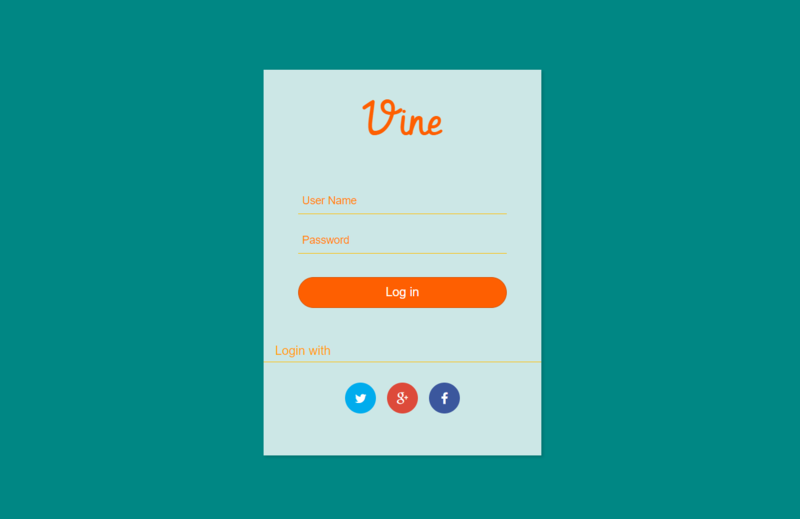 Take a look at this basic login form with a lock. It shows that unless you enter your username and password, the information will be locked from you. 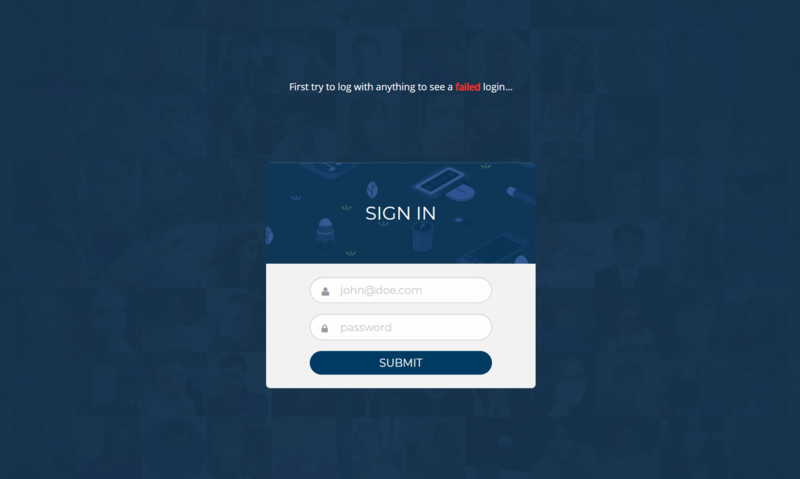 This is a fantastic login form concept which turns from 2d to 3d form on your eyes. You need to check the link to see animation yourself. 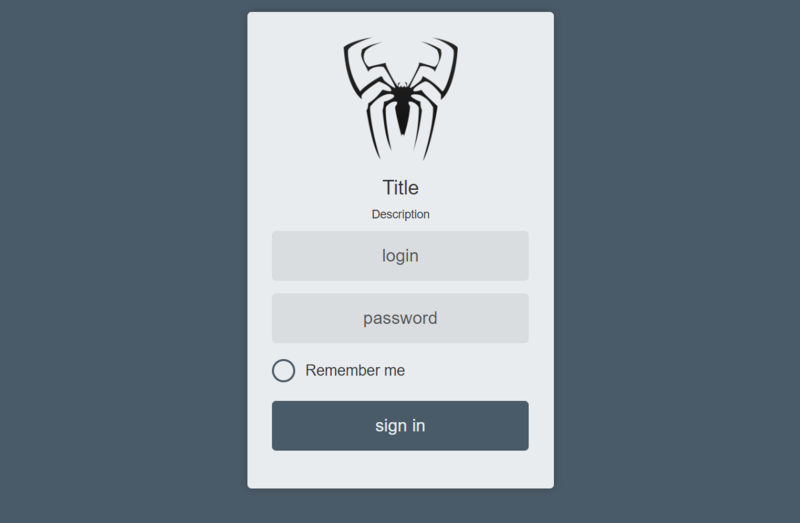 Flat login form with a creepy spider. It will be suitable for some games or apps. You can change this ugly spider on anything else if you want. 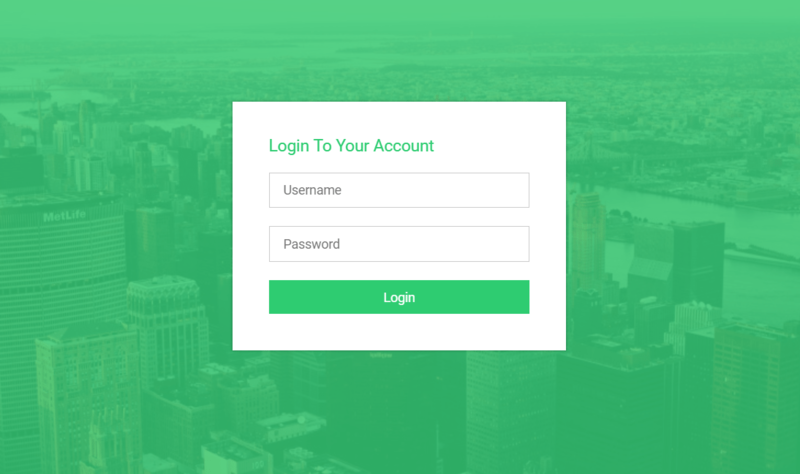 Here is a clean login form with beautiful landscape picture on a background. It features a nice icon animation when the form appears. 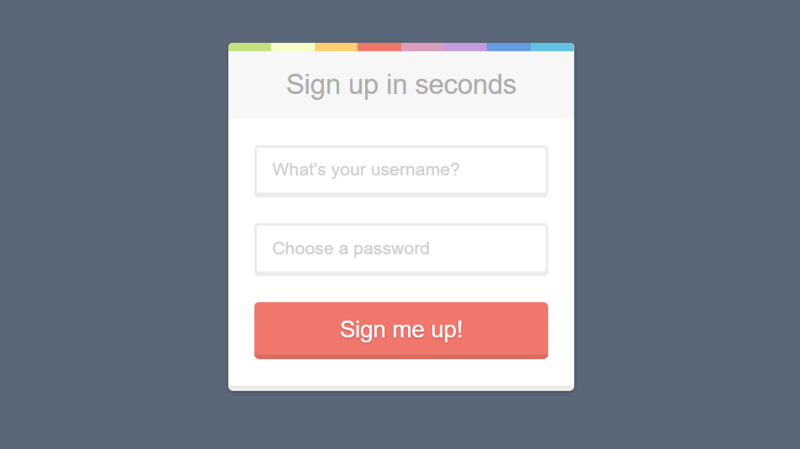 This cool UI is a sign-up and login form with super animation. It swipes left and right for those who want to sign up or log in. 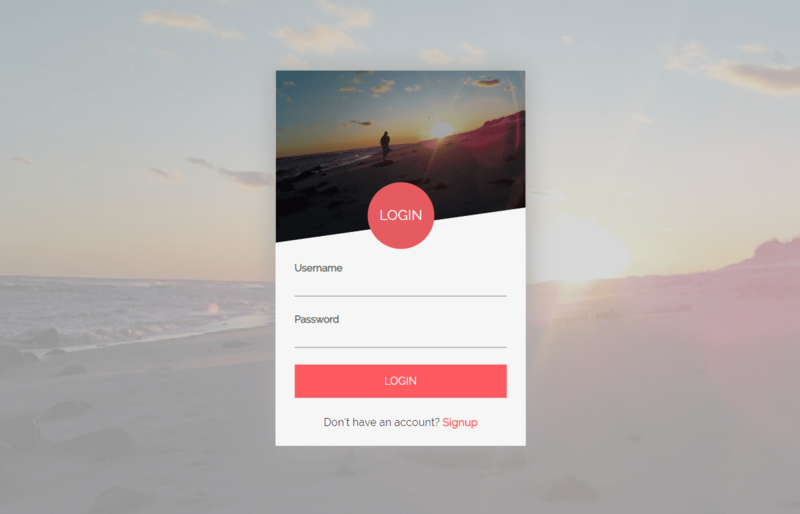 This stylish yet straightforward login form is using the same sunset image on background and form itself. You can change text, shapes, colors, pictures and more. 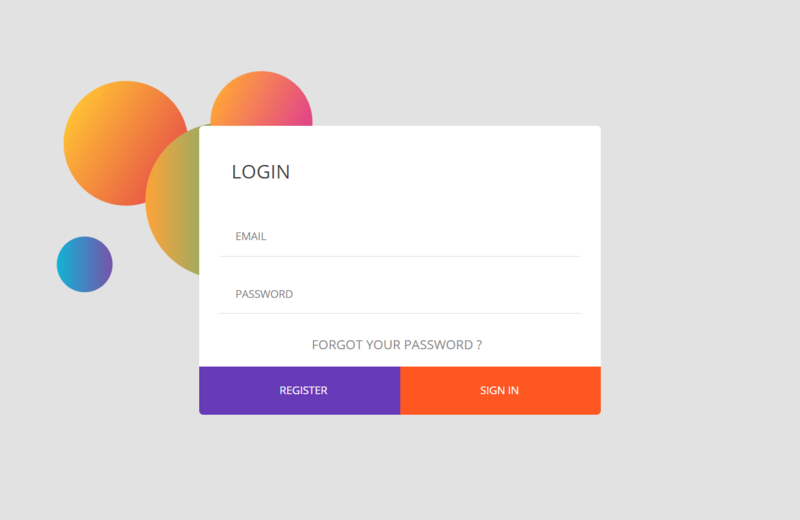 The orange color perfectly combinates with blue and the designer of this login form knows it for sure. The structure has cool typography on top and required fields for username and password. 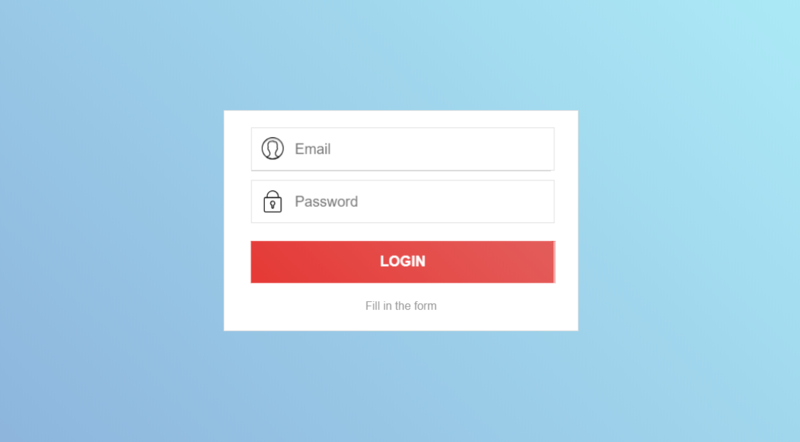 Here is a clean login form in CSS and HTML with a colorful stripe. A field you which you use is highlighted in blue. One more material design form with animations. The motion shows when you click on the fields with username and password. A simple sky with animated clouds moving around. Simple parralax effect achieved using variable speed and opacity for the clouds. Can be used in websites, games, etc. 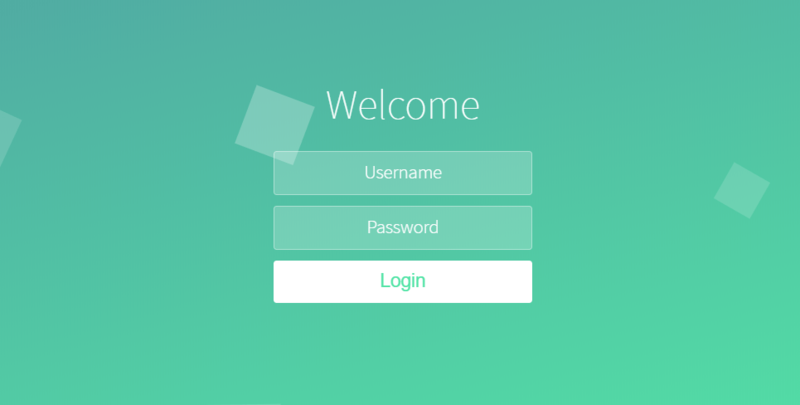 Its a simple responsive login form designed with css and love. 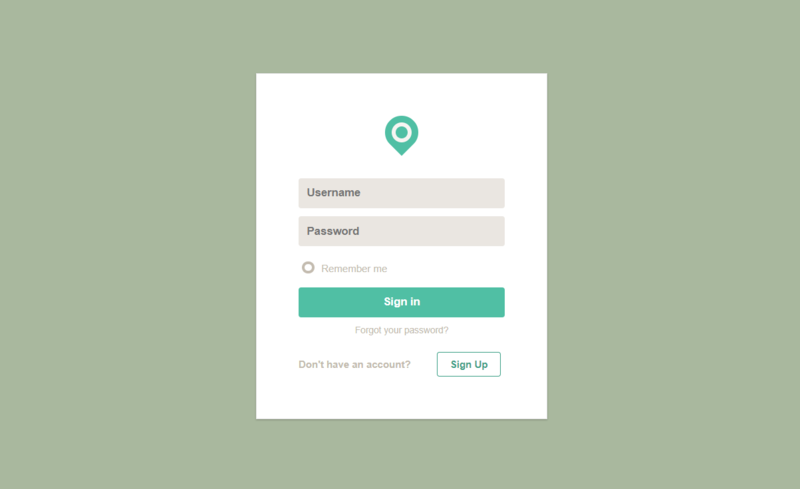 Sample login form using HTML and CSS only without any frameworks. 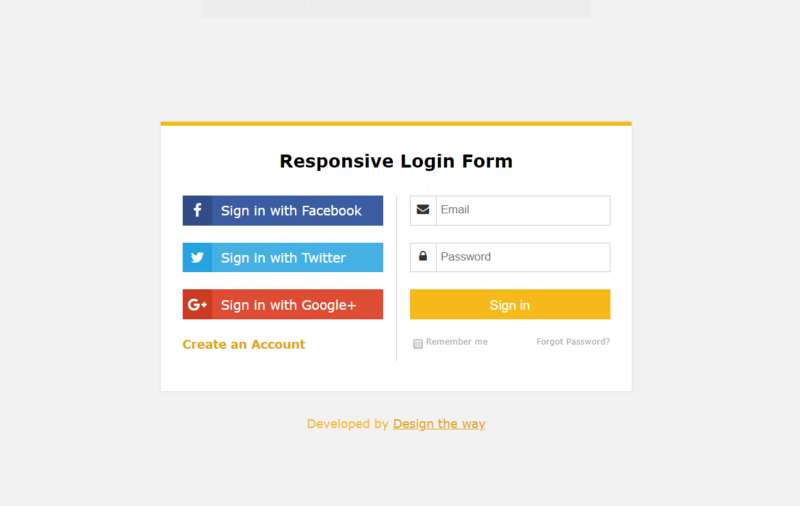 A simple login form with main and useful components.